Today I am sharing the card that I made using sketch 134 and some skipping stones stamps. Be sure to play along for a chance to win! and here is my card. 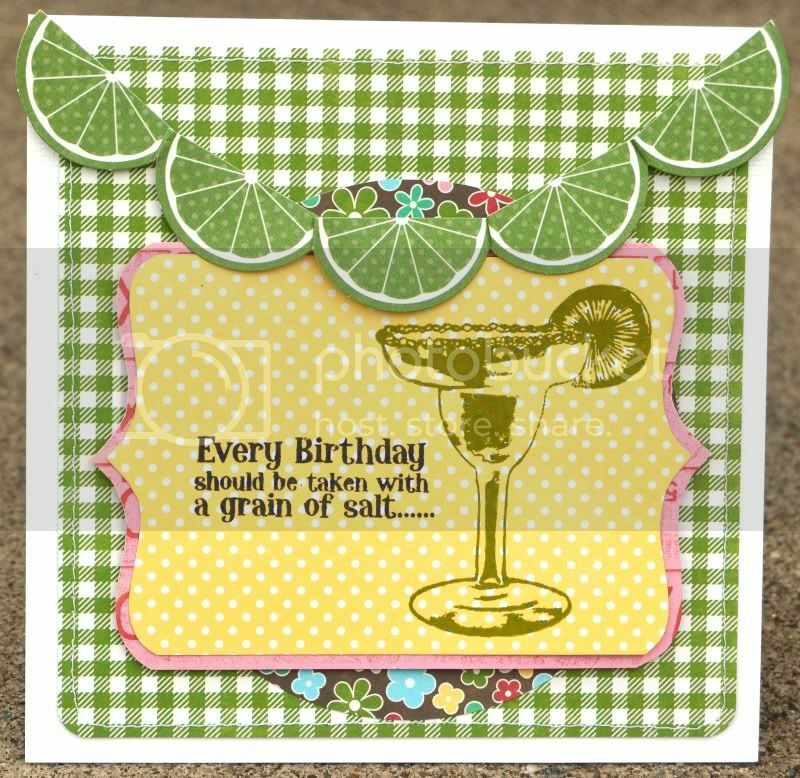 I used the Margarita Birthday set. I LOVE this set! It's so cute and funny and very ME! and here is my card, made with a bunch of Jillibean Soup that just makes me think of summer. The ink is, of course, clearsnap. Megan, I LOVE this! The lime banner is TOO CUTE! You did such a great job with this sketch! Adorable job with the sketch! Love how you used the limes for the banner!!! That lime border is so very clever! Cute card!